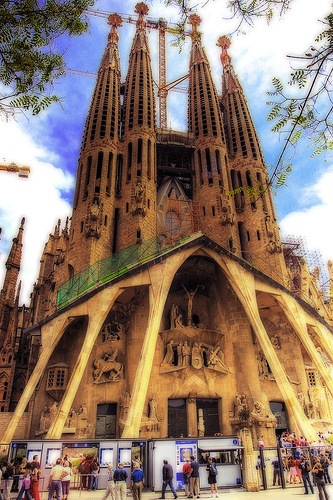 A nice sale for Winter travel to Barcelona, our favorite city in Europe for the food and nightlife. January 16th – 23rd. 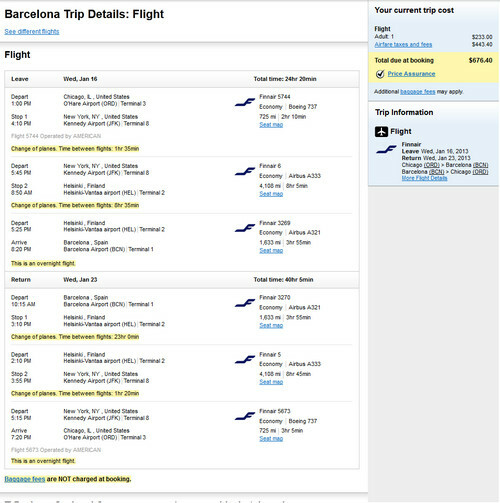 Valid for travel from January 1st, 2013 – February 27th, 2013 for Monday through Thursday departure. Use ITA Software Matrix Airfare Search and flexible month search to see availability, enable advance code and enter “ay+” on both outbound and inbound advance code field to see this Finnair fare. Must purchase 3 days in advance of departure. 12,984 miles or 5.2 cents per mile. Finnair is a member of the OneWorld alliance and a partner of American Airlines’ AAdvantage program. Provide the checkin staff with your American Airlines AAdvantage frequent flyer number to receive 100% mileage credit. Use dates found at ITA Software Matrix Airfare Search and book on Orbitz.com — make sure you select Finnair as the preferred airline in the advance search option to pull up this fare. Finnair.com is not pricing this correctly.